Be Playful, Be Happy,and just Be kids! B kids is a contemporary line of infant, toddler and children's toys that provide fun for the child. Utilizing developmental needs, they design toys that build on key sensory, physical, learning and creative skills as the child develops. 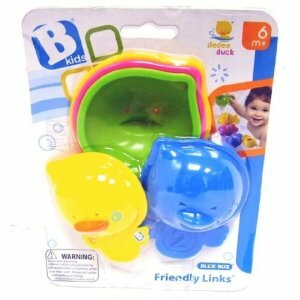 Watch babies faces light up when DeDee Duck spouts water from his mouth, flaps his wings and bobbles his head. Also comes with an octopus and whale water scooper with sprinkler hole design. Recommended for ages 12 months and up. Durable, darling toy that utilizes fine motor skills for your toddler. What fun to take a scoop of water and pour it in the spout of the duck to spin the waterwheel on his foot. Toddlers enjoy this special bath time as a way of exploring the ways of water. What a great experience for them to see how water can provide movement. Learning and getting clean, such fun to be young! Enter to win a DeDee Ducky Spout for your little one! Follow the rafflecopter for entries. 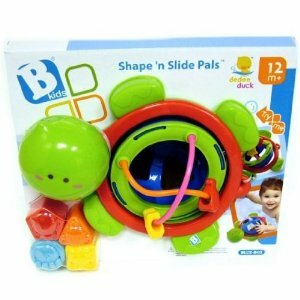 Be sure to check out B Kids other toys online as you begin your holiday shopping. 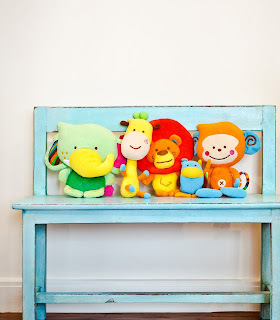 B kids also sells a line of darling stuffed animals BeBee Friends. 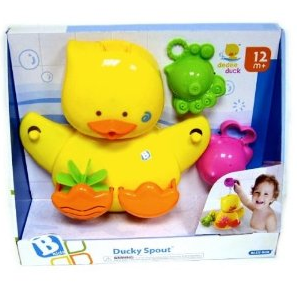 Enter to win your little one a DeDee Ducky Spout!! Folow the rafflecopter for easy entries!